I had Hip internal fixation in Dec.2007. due to sever accident. The doctor’s choice was between a total hip replacement or Internal fixation with many screws and strips. During this period of the 12 years I move somewhat easily,I can sit on the ground with pillow, but I feel some pain every period. Some doctors ask to change the slides as a result of the pain and are unsure of moving slides from where they are. ( radiation is always unclear to the difficulty of the place). Do I take the decision to change the slides or continue another period? At age 17 i blew out my right knee playig basketball. I am a big boned tall female and was active playing volleyball basketball softball tennis track swimming. I wwnt up for a rebound and as i came down two other players were up somewhat under me. It thru me to land on the side of my foot and boy oh boy the pain. I felt pops pulls tears and within seconds my knee looked the size of a basketball. It hurt to much to bear weight on it. I was put into a cylinder cast for months. When the cast. Was removed my leg wasnt stable. I ended up having a luxating patella and ended up on the surgery table having reconstruction surgery of the knee. Again i was put into a cast and months later when it was to stat off i took two or three steps and my knee gave way. And arthrigram should my menicus were pitted up and had numerous bucket tears so off to surgery i went again. I continued to have arthroscopies as i called them clean out procedure thru the years. I was an animal health technician that worked long hours up on my legs. Wasnt essy my knees got down to bone on bone. At age 3t the drs recommended i have the fused i didnt want to become a stiff leg walker. I rode horses and raised black angus for show. Finally it was agreed to replace the knee but that also meant i agreed to not having children etc…that would cause the knew joint problems. That changed my lifestyle 360 degrees. I dont drink alcohol i do.occasional participate in using some illegalz drugs. Ive had my other knee replaced and both my neck an lower back fused also . Ive had both hands worked on and one elbow. Ive paid the price for being a big strong girl. I smoke cigarrettes unfortunately ive quit numerous times. My first knee replacement is 23 years old and has woeked well. The other knee is 17 years old. Im in need of a hip replacement now i have an elevated rheumatoid factor both crp and sediment rate are always high in numbers. Ive been diagnosed with overlapping mixed connective tissue diseases and take some heavy duty rxs for my condition. About 8 years ago. I started having soft tissue reactions below the knee down. Somedays my legsare black theyve turned into wood i say. I have lipodermosclerosis ive had the superfical veins abalated now they say i need the perforator veins closed off. Compression stockings cause me to have to much pain in my knees to wear them. Ive tried all compression sizes. Recently i had septicemia and was touch and go for a few days but finalky pulled thru it. I have numerous health issues now days. Ive had more ionized radiation exposure then a person should have. Years of taking xrays on cats and dogs were i was constantly in the xray beam holding down the animals to get a good xrays. Then ive had numerous nuclear imaging test that havent been kund to my kidneys and more ct scans then ill admit. I believe that having knee replacements at an.early age has contributed to my lower leg circulation problems now aling with everything else including the radiation. Has anyone else had ussues with circulation problems as me? I know the chronic venous insufficiency is because i didnt keep my calf muscle working to good the valves in my leg veins have quit doing their job so blood has an issue leaving my legs. It gets puzzling for my drs they say im a complicsted case. I have now been diagnosed with pulmonary hyperyension and the future isnt to bright for me they say. I say it is because years of pain ive kearned to breath so little panting breaths because of so much pain. Its develiped a bad breathing habit in me. Drs wont listefn to me i know its got to have alot to do with my present conditions. I just would like to know if any other person at a young age has had both joints amputated and developed similar circulations problems as me. It makes sense to me that there is. Thank you so much for this article! I have had both knees replaced and this information gives me lots of hope for the future. It is a complicated issue – nothing should be taken lightly with this surgery. It is a lot of work to rehab. properly – but, I say, well worth the time spent. I love to be able to walk normally. Before I had knee replacement surgery in 2009, I had every method to help my condition, which proved to be temporary relief. Arthroscopic surgery on both knees, physical therapy, injections, medication, etc. My Chiropractor recommended Dr. Frank Ebert at Union Memorial Hospital in Baltimore. He had never seen, or spoken to Dr. Ebert, but said he was a highly regarded surgeon. On my first visit to him, he said he could do both knees at the same time. I was seventy at that time, and immediately agreed with him. He saw I was in excellent shape and after preliminary physical, MRI’s, etc., he performed the replacements. I had my follow-up visit after two weeks. Upon inspection, strength testing and walking, range of motion testing, he was very pleased with my progress. He said my recovery after two weeks was better than most people after two months. Obviously, both of us were pleased with the outcome. Ten years later, my knees are as flexible, and pain free, as before my knee problems started, when I was fifty. I played baseball and ice hockey in high school, baseball in the Army for the post team at Ft. Hood, Texas, and high-level organized baseball until I was thirty four. Also started karate at forty seven, until I was fifty. Also did regular gym workouts: Nautilus training, indoor jogging and swimming. That’s when my knee problems started, and had to stop my physical routines. A long-winded explanation, but only to explain why I eventually developed knee problems needing replacement. If anyone is contemplating this procedure, I would definitely say, “go for it”. And I would highly recommend Dr. Ebert, if you live in the Baltimore area. He is the best! I haven’t seen, or spoken to him since six months after surgery, and have never experienced any problems since. I think Dr. Ebert is one of the surgeons on the staff of the Baltimore Ravens, so that should say something for his professionalism. And he is an extremely low-key, nice, person. Thanks for reading my sussess story! I am a regular reader of your health bulletins. I am a pediatrician aged 81 year old.Kindly put out features on health issues and problems concerning this category of” super citizen”,who are 80 +. A valuable service no one has brought out in this field or thought of.I am sure there is scope for a separate branch of specialty. In 1972 I had a bad skiing accident, tore a ligament and smashed my cartilage. That was before knee repair using arthroscopic surgery, so instead my ligament was repaired and my cartilage completely removed. For 42 years, until 2014, my knee operated bone on bone with no cartilage to cushion the bone ends. I got around pretty well, but after too much walking my knee ached, and I could never kneel, bend my knee too much, or sit with my knee bent. The “rooster” shots helped somewhat, but not enough and not for long enough. I had been active in Kenpo Karate but had to stop because my knee wouldn’t allow the pivoting I needed to do. I expected to return after a knee replacement, but didn’t. I kept hoping for a cartilage replacement – teflon, nylon, transplanted tissue – whatever would fill the gap, and I felt that I didn’t need a total knee replacement because the rest of my knee was ok. I found a surgeon I liked, Dr. Hallock of OIP in Camp Hill PA, who had invented such a device. He said I might have been a candidate for it, but that he had sold the patent to a medical device company, Zimmer, they had discontinued it, and he couldn’t get his hands on even one. He also said that over the years I had damaged the bones so his device might not have been my answer. Dr. Hallock replaced my knee, and I recovered pretty well. The new knee was good; I could get around and sit and bend in ways that I previously couldn’t. Unfortunately, my knee replacement lasted two years. ONLY TWO YEARS and I heard a loud POP, felt excruciating pain, grabbed the elbow of a man near me, and fell into a chair that someone quickly put behind me. I knew instantly that the new knee had failed and that my kneecap had dislocated. 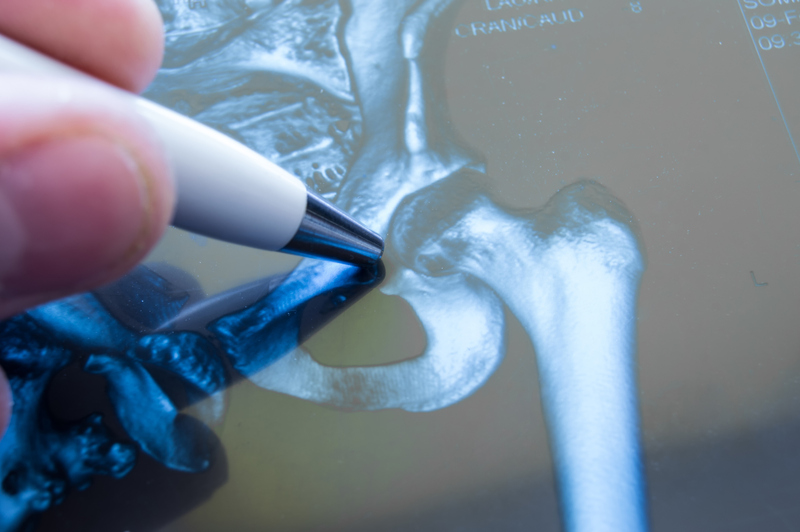 Later Dr. Hallock determined that the spacer that goes between the top and bottom halves of the new joint – basically like a thick cartilage – broke loose. Apparently it’s held in place with some tabs, and one or more of those failed, the spacer shifted out of place, and hit something (a tendon ?) which pulled the kneecap loose. I’ve wondered what happened to the spacer – whether it went back to the manufacturer for analysis of why it failed, for example. In a macabre kind of way I wanted to keep it. I knew there were some knee replacement models associated with failure, but was assured that my particular model wasn’t one of them. For some months before the failure I had noticed that my replacement knee was kind of wobbly and audibly clickety-klackety – and it makes sense now that those symptoms might have meant that the spacer was loose or coming loose. Dr. Hallock fixed it all up, using a thicker spacer, and now, a few years after the repair, it’s good, no clickety-klacketing, no noticeable wobbling. Still discomfort if I overdo it, but better than the 40 years of being bone-on-bone. Coincidentally, the next summer I was at a hospital and saw a huge RV advertising Zimmer medical devices; it was a kind of rolling Show’n’Tell for medical professionals, and I asked if I could come in. They showed me “my” knee and I got to see for the first time just WHAT had failed and I noted that the errant part didn’t seem flimsy. It was very interesting to see how the device and its parts work as well as to handle it, and also to see their other devices. Fascinating! I haven’t made it back to Karate and probably won’t – I don’t feel quite as good as new and up to all the pivoting and footwork required – but my knee is definitely in much better shape than pre-replacement. At this point I expect at least 10-15 years – well more than 2 – from it. I had both knees done at the same time. YES, same time. There is no choice when one can’t walk without pain in both knees. As a complimentary issue to the above, what is the timeline and level of stress related to the recovery process from a hip and knee replacement? I don’t remember much the first couple of weeks after my hip replacement due to pain meds. I tapered off the opioids as quickly as possible and got on Tylenol. At nine weeks we were off to France with the family for two weeks. Lots of walking and did pretty well. Now scheduled for one year checkup with no discomfort. Best of luck. I had a knee replacement done in October 2017. The doctor was very well respected and trained at Mayo and Cleveland clinic’s. He told me as soon as I was awake that my bones which he had previously told me were fine, we’re severely impacted by osteoporosis and caused my femur to fracture so I was in an immobilizer. He and his staff told me repeatedly that I had bones like butter and Mush. I have osteopenia and everything he said was Untrue to cover the fact that he fractured my femur. I was in rehab for four months daily and because of wearing the immobilizer for a few weeks, I have limited bending ability and. Constant pain. How do you know when the replacement knee needs to be replaced? Does the same apply to shoulder replacement? Has anyone ever had thumb joints operated on ? Yes I have had both thumb joints replaced using part of my tendon for the joint replacement-nothing artificial. They were done in 1988 and1990 by an excellent surgeon. I am very pleased with the results. Thumb/hand PTwas necessary both times. Ask your favorite hand doc about an “anchovy” procedure. Using the ligaments in the area, it keeps the bones from grinding on each other. Works pretty well. Same range of motion, no pain. Wish they could do it for a shoulder. Another reason they will likely last longer than previously thought is younger/active people are getting replacements. For many years most replacements went into the elderly who died (well) before the replacement wore out. My mother had a hip done at 81 and died at 89. So the replacement only got “credit” lasting 8 years. How can a judgment be made as to what type of replacement should be used in a knee? I’m looking for anyone who has had ankle replacement surgery. Would they recommend it and how successful was the end result? Hello, I had a total knee replacement in 2013. I could not be happier. Two important recommendations… choose your orthopedic surgeon wisely and do all the PT recommended. 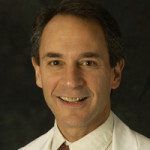 I chose an extremely well known MD at U of WI with priviledges at Meriter (surgery performed here, excellent hospital) in Milwaukee, Dr. Wollaeger. He had two MDs as his medical assistants 🙂 The PT regimen was tough but well followed, ensured full range of motion. Best of luck. It would be desirable to learn about the US results for knee injury surgeries. All countries listing successfully knee surgeries are small countries. What are they doing differently? I had my ankle replacement surgery at Stanford University Med, Center in l991…28 years ago!! I’m 78 years old. Good luck!